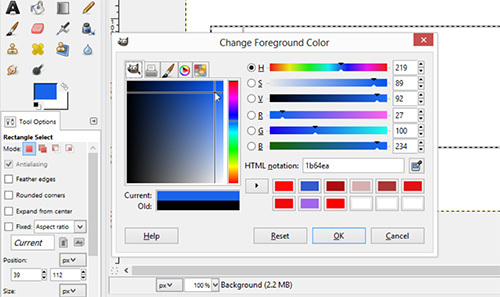 In this video tutorial we will show you how to select color in GIMP. 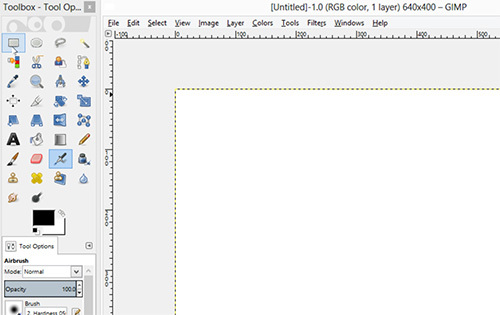 If you want to select color in GIMP, first you need to start the program. Go to the “File” menu and select “New” option. In the following window set image properties and press “ОК”. Choose the “Rectangle Select Tool” in the tools menu of the program. Select the area for editing and click on the color palette by default. In the following window choose final color of the selected area and press OK.
Go to the tools menu of the program and select “Bucket Fill Tool”. Then left-click on the editing object to apply the selected color.